She Can't Play Like A Normal Child Because It Will Stop Her Heart! No father ever wants to hear that his newborn baby girl is seriously ill. My baby girl was a dream come true when she was born 7 years ago. And then, her life became a nightmare. Debashree was picture perfect, until a week later she started crying. She never stopped. It went on throughout the day and in the night we could not put her to sleep, and nobody in the house or neighborhood could sleep. She had a temperature, so we took her to the local doctor in our village. He put his stethoscope to her chest and said that her heartbeat was abnormally fast. He asked me to take her to a hospital. 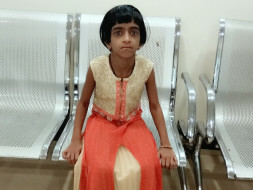 When we got the test results at the hospital, we learned that Debashree had heart disease Severe LVOT and mild RVOT. 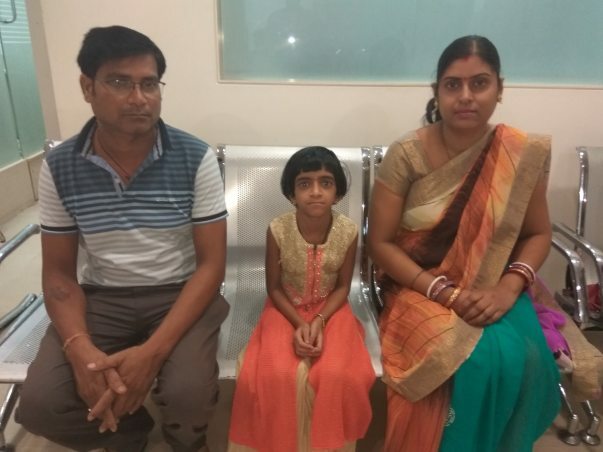 They asked us to go to a hospital in Hyderabad to fix the hole in her heart so in the year 2009 she underwent AV Canal defect repair. We had to shift so many hospitals at that time because everywhere we went, they quoted either a high price or put us on a waiting list. As the years went by and our girl grew up, her symptoms got worse. She began to have breathing trouble. We had to stop her from going to school. If she plays with her friends for a little while, gets excited in class and laughs, any little thing can set her off. She will start panting for breath. So we discontinued her education. Her energy levels started going down, and we began to fear for her life again. Again, we ran from hospital to hospital. Hyderabad, AIMS Delhi, CMC Vellore, NH Bangalore, and finally Manipal. Doctors either turned us away, told us they couldn't save her, quote ridiculous amount that we could not afford or put us on a waiting list. 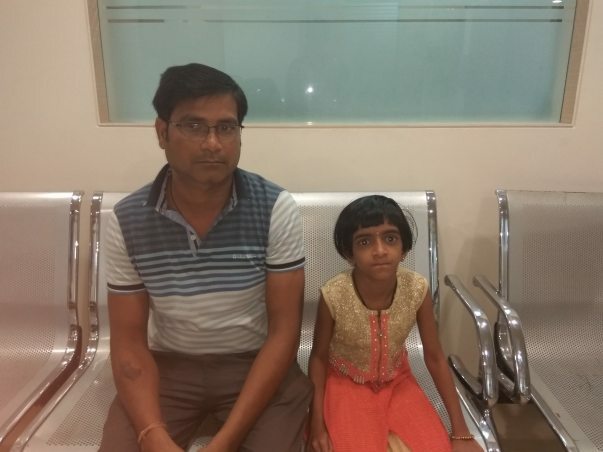 At Manipal, we found Dr. Devanand referred by NH, who is doing everything he can to save Debashree. I'm a farmer. My wife makes some extra money for the household by helping around the house for others in the neighborhood back in Orissa. We are not people with means. I did not study, neither did she. We wanted to give everything for our child. But, this happened. Even then, we did our best for Debashree. She gets very angry sometimes, throws tantrums, fights with us for not letting her be like a normal child. How can I tell a 7-year-old that playing outside like a 'normal child' could stop her heart? I cannot think when I see her being active. I wait for her to sit and only then I can breathe. Even a little activity is enough to exhaust her or put her heart in overdrive, and we rush her to the doctor. This is no life for a child. She is right to be angry with us. I want to do everything I can to save my daughter's life. She is all that we have. My wife and I cannot live with ourselves if something happens to her. 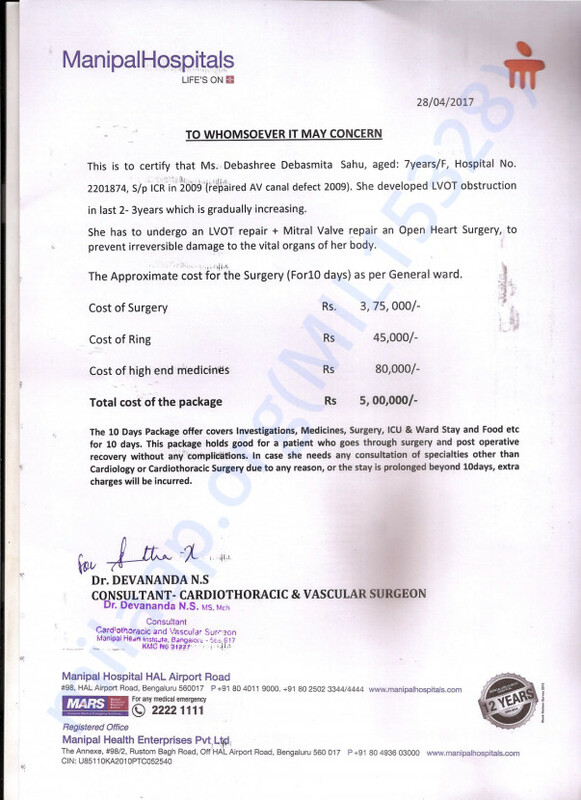 This surgery that she needs costs around Rs. 5 Lakhs. We have spent every rupee we have on her diagnosis and treatment so far. We don't have enough left for everyday meal. We are in a lot of debt, with friends, family, and everyone we know. Now, there is no other way out. 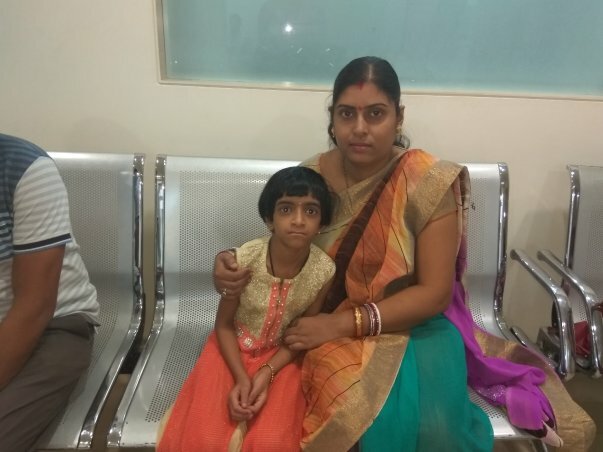 Please, help me save my daughter. 7 is no lifespan. Scientists are trying to find a way to make us immortal, and here, God is trying to put a stop to a life at 7, knowing we cannot afford science.